Natural fur vest for women with a unique design that helps you complete any outfit. The front part of the vest is made from natural lamb fur, uncut in certain places and the back is nappa lamb leather, resistant to moisture and dirt. 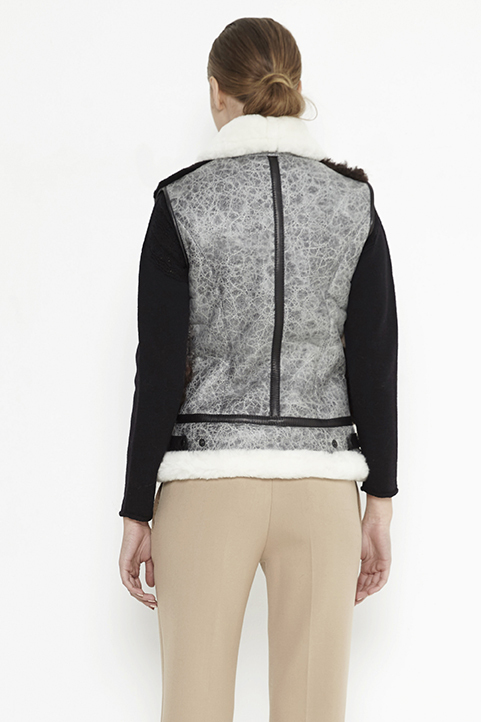 The different design of materials used and the color combination of the natural lamb fur, makes this vest unique. Collar and vest curb are made from lamb fur, trimmed to 8mm thickness. Closing of the vest it provided by a zipper.